Yours truly at Original Gravity in Milan. Welcome to the new home of "All the Brews Fit to Pint," a weekly roundup of beer news and events in the Ann Arbor area. 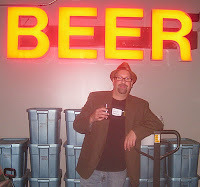 I was thinking about what to write as an introduction, but rather than re-invent the wheel, allow me to quote from the intro column I wrote a year and a half ago, when I began blogging about the local beer scene for AnnArbor.com. 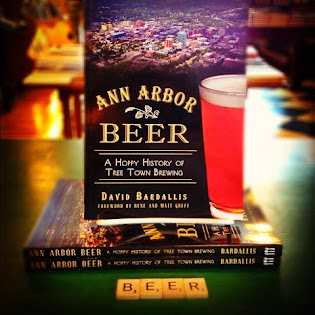 My name is David Bardallis, and I'm gonna talk about beer. If you are under 21 and reading this... well, I don't really care because you can't drink words. Me, I've been drinking beer since before the government would have approved, and when I say "beer" I mean stuff like Busch, Labatt's Blue, Moosehead, and Mickey's malt liquor. Then, around about the time the government would have been OK with me consuming "adult beverages" (for the record, this was back in the early 1990s), a funny thing happened: I had my first Samuel Adams Boston Lager. You ever see the movie Pleasantville? No? Me neither. But how about in The Wizard of Oz, when black-and-white Dorothy lands plop in the middle of a bunch of Technicolor Munchkins. You see where I'm going with this. Eureka! I had had my first taste of truly flavorful beer. My world changed, and there was no going back. In fact, there hasn't been any going back. I'll still drink Labatt's if I have no other beer options, but the other stuff? Can't remember when I could be bothered. Yes, some would call me a beer snob. But here's the thing: Beer can be and is so much more than the watered-down generic "pilsner" taste of the Buds, Millers, and Coors (Coorses?) of the world. Beer runs the gamut of sweet to sour, malty to bitter, fruity to chocolatey, crisp to funky, and everything in between — or some or most of those all at once. There is a different beer for each season. There is a different beer for each meal. Why, beer can even be flurfy, brapply, and norkish. What does that mean? I don’t know, because the words necessary to fully describe the wonderful complexities possible in beer sometimes just don’t exist. That’s only one of the joys of being a so-called beer snob. But let me tell you about the joy of being a beer connoisseur in Michigan in general and Ann Arbor in particular: I’m not alone, not by a long shot. We are legion, and we support a fantastic variety of what has come to be known as craft beer: delicious, small-batch brews produced by local, independent brewpubs and microbreweries. Ann Arbor is currently home to three such establishments: Arbor Brewing Company, Grizzly Peak, and the Blue Tractor. Yes, our town of 115,000 has nearly as many brewpubs and microbreweries as the city of Chicago does. Fascinating, no? Not only that, there are several others within close driving distance: the Corner Brewery in Ypsilanti, Jolly Pumpkin in Dexter, Original Gravity in Milan, and Liberty Street in Plymouth. And if that weren’t enough, Ann Arbor is also home to “Michigan’s premier multi-tap” beer bar, Ashley’s. With so many fine establishments in our proverbial backyard, it can be hard to keep track of all the release parties, beer tastings, food pairings, pub crawls, and other special events going on. What's a beer lover to do? Well, read this blog, for one thing. 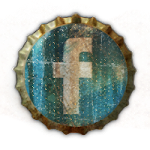 My goal is to try to keep up with the various and sundry beer happenings in the Ann Arbor area and conveniently reveal them here for fellow aficionados, would-be aficionados, and whoever else stumbles across this page. 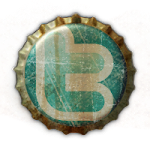 I also hope to feature informative articles about beer styles, beer appreciation, beer deals, and even the personalities behind the beer. Since the time I wrote this, two more brewing establishments have opened in Ann Arbor — Jolly Pumpkin Café and Wolverine State Brewing — while the Corner Brewery in Ypsilanti is scheduled to undergo a significant expansion in 2011. Truly the Washtenaw County area has become a significant hub for great locally produced craft beer within a state gaining increasing national recognition for its many great breweries. Which says to me that, more than ever, someone needs to help keep area beer lovers up to date on what's going on in our neck of the woods — hence this new, dedicated blog. I hope you find it of value, and thanks for reading. Thank you for all the timely, local beer info. and for representing the Ann Arbor area beer scene. The site is a great resource, and I've shared it with my craft beer fans at facebook.com/VooshBrewing.